Trex is the leading composite decking brand. They are the world’s largest manufacturer of wood-alternative decking products. They have many agency partners that place and manage media in market, inclusive of traditional TV advertising. 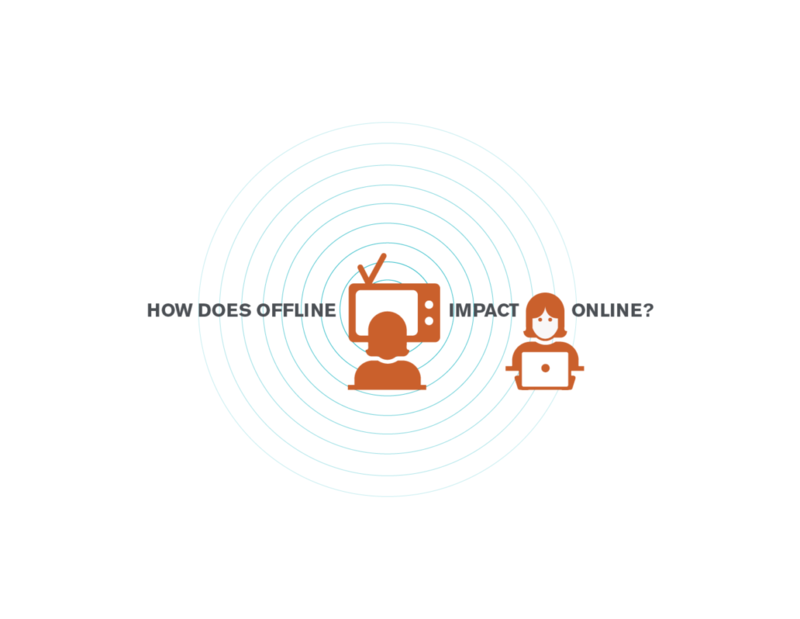 At Seer, while we’re well versed at analyzing the effectiveness and impact of digital ads, we wanted a quick way to understand the impact of offline marketing on online performance, including TV advertising. 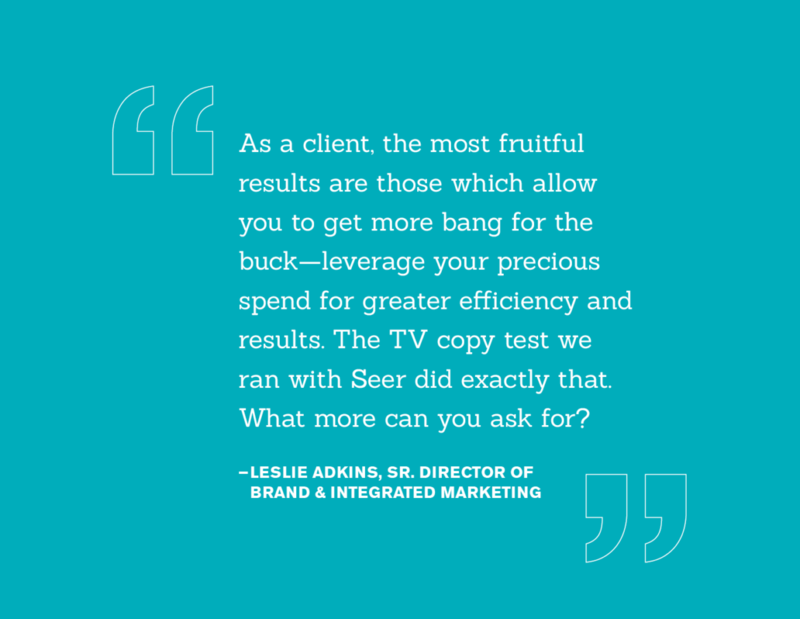 Seer’s Analytics team performed an analysis to determine the impact of Trex’s TV ads on search behavior and site sessions. Our analysis determined that paid search drives significantly higher traffic to the site compared to the average when a TV ad airs. With over 70 percent of users having a second device up and running while watching TV*, TV ads drive immediate reaction and inquiries for branded and specific non-branded terms. Direct sessions are 110% higher on hours when a TV ad airs, Paid Search is 107% higher, and Organic is 75% higher. 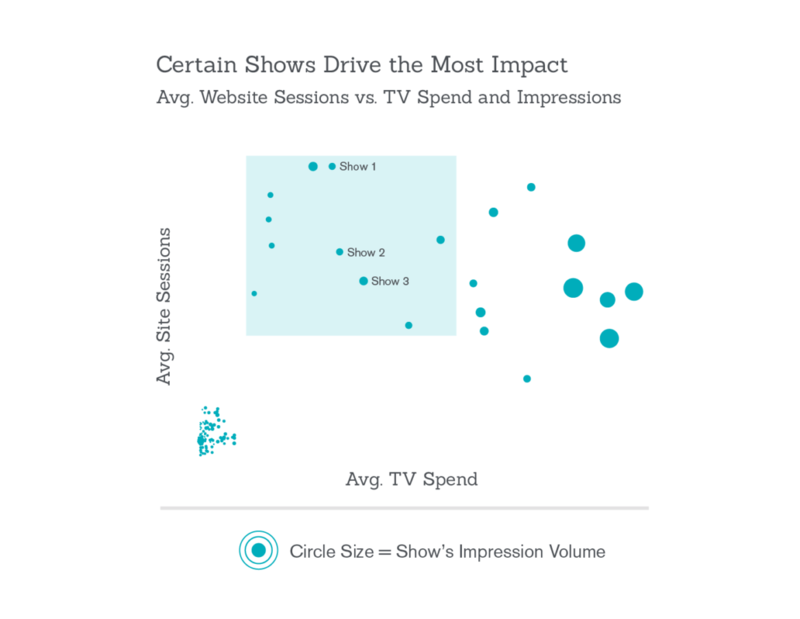 Additionally, using TV show data, our team was also able to pinpoint which TV shows were driving value for Trex and coinciding with higher sessions at a lower spend. 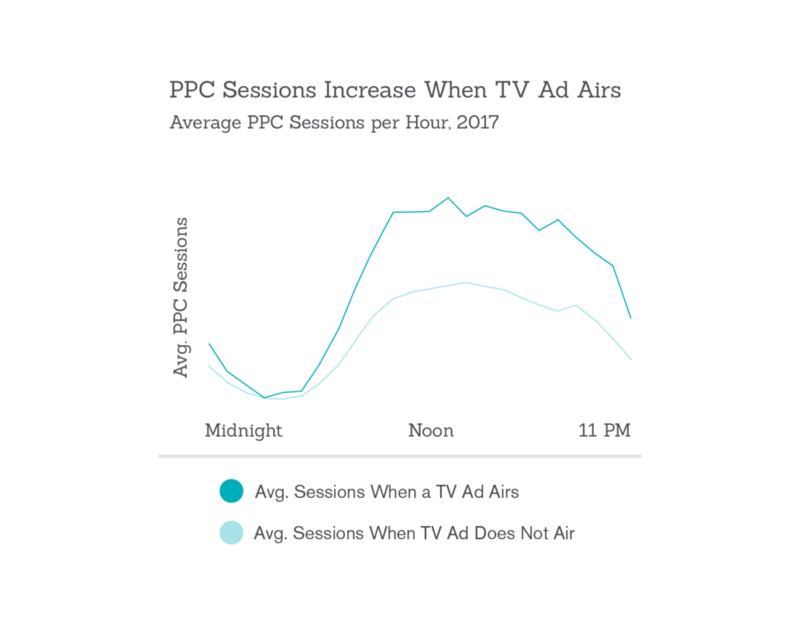 From there, our Analytics and PPC teams tested what the impact would be on our search campaigns if we better aligned ad copy during the times TV commercials ran. Our hypothesis was that if we changed ad copy to match what was mentioned in TV commercials, we would be putting audience first, keeping our messaging consistent, and would see higher CTRs and other improvements in search performance. Identify a high-value TV placement that is scheduled in the near future and has a high level of spend (in order to see the most impact on the site). 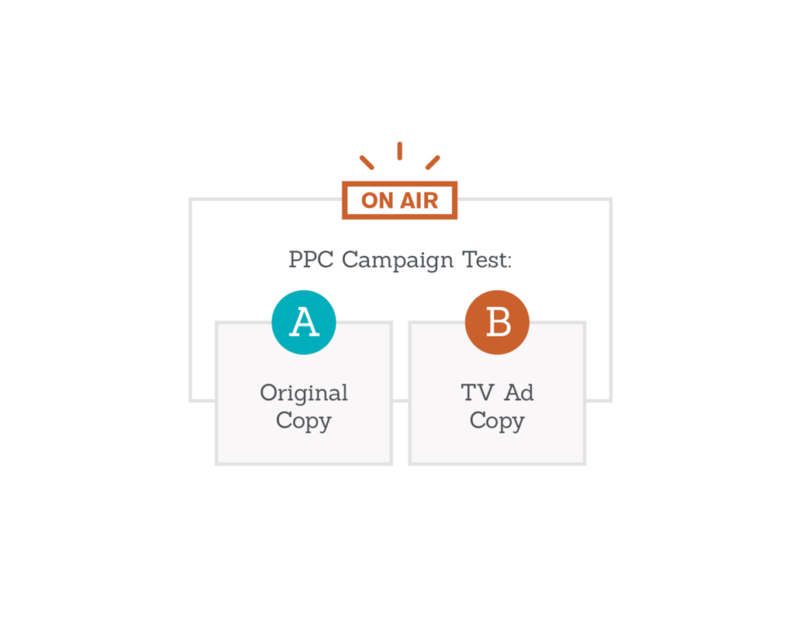 Duplicate 1-2 PPC campaigns, customizing the ad copy to echo the content of the TV ad. Once the spot airs, flip the duplicated campaigns on and the original campaigns off. Flip back after 60 minutes. Determine if the performance during the testing period outperforms the original campaigns for both Google Ads and within Google Analytics. Run the same test during a time when there is no TV ad running, in order to isolate impact of TV ads further. Search ads with TV copy while TV ads were running had 60% higher conversions per impression, a 48% higher conversion rate, and an 8% higher click-through rate than users who were served generic copy. Overall conversions on site for TV copy were 69% higher than for generic copy. Additionally, when we ran the TV copy during a similar slot when the TV ad wasn’t running, we actually saw generic copy outperform TV copy in terms of conversions (although TV copy had a slightly higher CTR), suggesting that this strategy is most impactful when aligning with when TV ads are run. The results of this test helped to further justify the investment in both PPC and TV, and encouraged additional investment in similar tests in the future.